Designers who wish to be certified must pass rigorous training and experience requirements in order to obtain their certification. For example, kitchen designers certified through the National Kitchen and Bath Association (NKBA) must have five years of full-time kitchen design experience in addition to 60 plus hours of NKBA professional development courses or approved college coursework. As if that wasn’t enough, the designer must also pass the NKBA certification exam, provide two client references, and two professional affidavits in order to receive the title “certified kitchen designer.” This shows an above average dedication to kitchen design- a dedication that they use to go above and beyond with each kitchen remodeling project. Furthermore, the required experience and coursework ensures the certified designer you hire has enough knowledge to handle your kitchen re-design. It is one thing to make a space look good, and another to make sure it is functional. 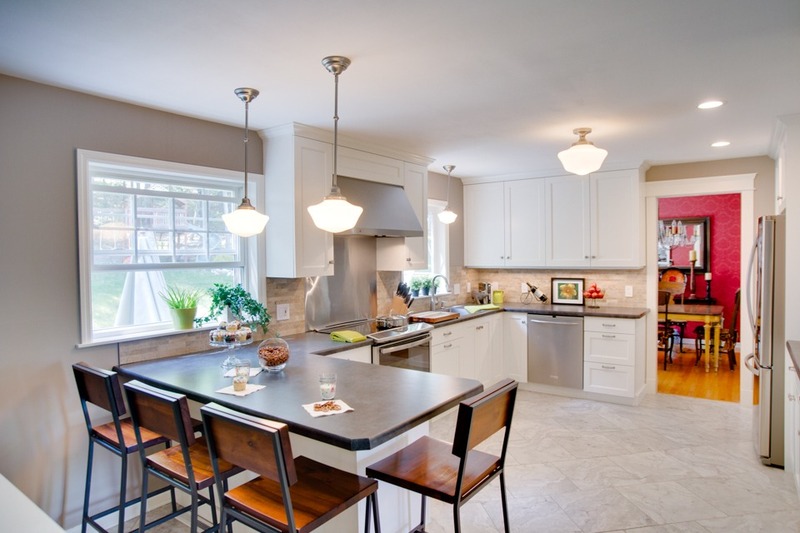 Certified Kitchen Designers have acquired years of technical design knowledge including building code regulations. This information will ensure that your new kitchen is up to code and optimized to make the space as functional and easy to use as it is beautiful. These designers also have relationships with many vendors and product fabricators, making it easy to obtain the right product or material for your remodeled kitchen. Kitchen design is so much more than just choosing a countertop, cabinets, and a great sink. There are a lot of logistical issues that need to be considered such as door and window placements, electrical, lighting, plumbing, venting, heating, flooring, and other mechanical issues. A certified designer has the experience and know-how to ensure that all these pieces of the puzzle come seamlessly together for an end result that surpasses client’s expectations. The right designer will be committed to achieving the best look possible within your budget. They should be able to recommend where money can be saved in cabinetry, appliances, countertops, and more. Clients are often pleasantly surprised at all the design and product choices that fit within even a modest budget. No matter what your budget is, a kitchen redesign is an enormous undertaking. Be sure the “heart of your home” in the best hands possible by hiring a certified kitchen designer. Andrea Langford Designs, Certified Kitchen Designer in Upstate New York certified from the National Kitchen and Bath Association. Andrea has over 20 years’ experience to ensure your kitchen not only looks beautiful, but has a functionally sound design. Browse recent kitchen remodels, then when you’re ready to begin your kitchen’s facelift, call us at 518-464-4714 or fill out our contact form to schedule your free consultation.